A compelling account of the Red Army's epic struggle to drive the Germans out of Russia and back to Berlin. 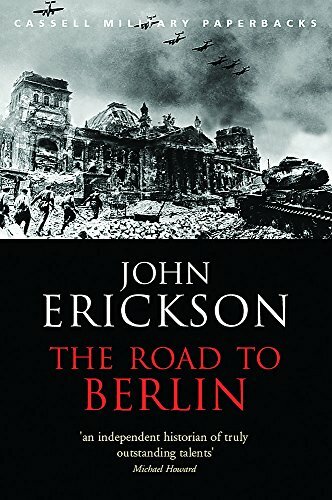 Using an enormous range of primary sources - Soviet, German and Eastern European - John Erickson describes fighting and hardship on a scale almost unimaginable in the West. He provides a detailed narrative of all the battles on all the fronts, and also of the Soviet system of war which achieved, under maximum stress, near impossible feats in the field and in the factories. The book also tells of the diplomatic moves and counter-moves, including the all-important conferences at Tehran and Yalta. John Erickson was an Honorary Fellow in Defence Studies and Professor Emeritus at the University of Edinburgh. He was a leading authority on the Soviet-German War and lectured on Soviet-German affairs at the universities of Oxfod, St Andrews and Manchester as well as a number of American universities.